Remember when turmeric was just that weird, stainy, yellow spice that you didn’t quite know what to do with? Yep, well that’s definitely a thing of the past. Between our golden lattes and our tea obsession, this is one spice that’s, well, spicing up our lives. 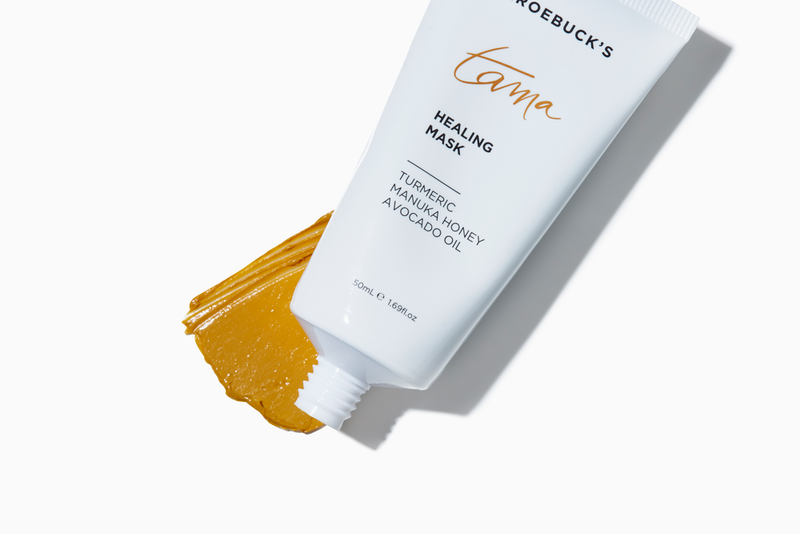 And, where all good wellness trends go beauty follows – as the acai face-masks and kale nail polish prove – which is why we’ve now seen turmeric creep stealthily into our beauty cupboard. As a spice, you’re no doubt well aware of its many awesome benefits: in Ayurvedic medicine it’s been used to help with digestion, joints, circulation and boosting immunity and liver function. On the beauty front, it basically works the same magic (except, you know, on your face), using its anti-inflammatory properties to heal, soothe and calm the skin as well as aid in circulation. And, as a bonus, it’s also a powerhouse antioxidant, which makes it a solid all-rounder in the ingredients stakes. It makes sense with the skin being the largest organ , that topically applied it would absorb the same goodness that taking it orally would. The “goodness” we’re talking about looks like everything you want for your best skin: sebum balancing, antioxidant, antiseptic, brightening and detoxifying, which sounds pretty perfect and all… but how does it actually work? “Curcumin has been shown to turn around free radicals, which results in the destruction of skin cells,” Zoe explains. “It's also been proven to stimulate the mesenchymal cells and to help troubled cells survive. Overall, it’s a powerful anti-inflammatory, so it calms the skin, helps regenerate collagen and helps repair the dermis.” And, unlike some natural ingredients, turmeric has actually been well researched with a slew of studies supporting its positive impact. Like, for example, it’s effects on inhibiting the enzyme tyrosinase, which contributes to hyper-pigmentation, so by using it, it acts as a natural suppressor and also brightens the skin. So, in a nutshell: natural, effective, and Ayurvedic. I mean, where do we sign?